When one thinks of Asian dishes, there are so many cuisines to choose from – Thai, Chinese, Malay, Japanese, Indonesian, Indian, Korean and Vietnamese, to mention just a few. The tastes, textures and spices are all distinctive, and most of the dishes consist of homegrown ingredients. Asian food lends just the right touch of exoticism to any occasion – whether it is a wedding celebration or a birthday party. There are a lot of healthy finger food and fresh salads, such as those tossed with shrimp, as in the Chinese restaurants in New Farm, near Brisbane. These days, people are more adventurous in trying new cuisines, whether they make it themselves or hire caterers to do it. Most dishes comprise a few ingredients and the preparation style helps gourmets get an idea of the flavours and interplay of ingredients. 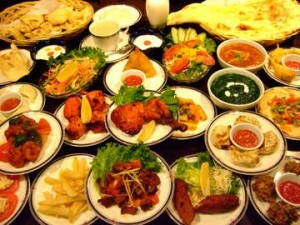 Indian cuisine represents well with tandoori chicken, Biryani and flat breads with vegetables. Any food is not complete with drinks to accompany them. Check out drinks like the Vietnamese cold coffee, Taiwanese Pearl teas, Jasmine tea with Chinese food, Lassi or buttermilk, a favourite drink to cool off during hot Indian summers, and the sweet cinnamon punch from Korea. There are various alcoholic drinks to try, too. These include Chinese and Thai beer, sake from Japan and all varieties of teas from India. As far as desserts go, try fruit salads made with fresh fruits like persimmon, star fruit, dragon fruit and others. There is so much variety that it is easy to hook onto Asian flavours. Asian cuisine is perfect for the adventurous connoisseurs who want to find a great variety of dishes than the norm.